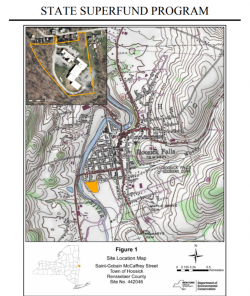 The New York State Department of Environmental Conservation (NYSDEC) announced this week that cleanup of the Hoosick Falls Superfund site, which has been central in the village’s PFOA water contamination, will begin this spring. 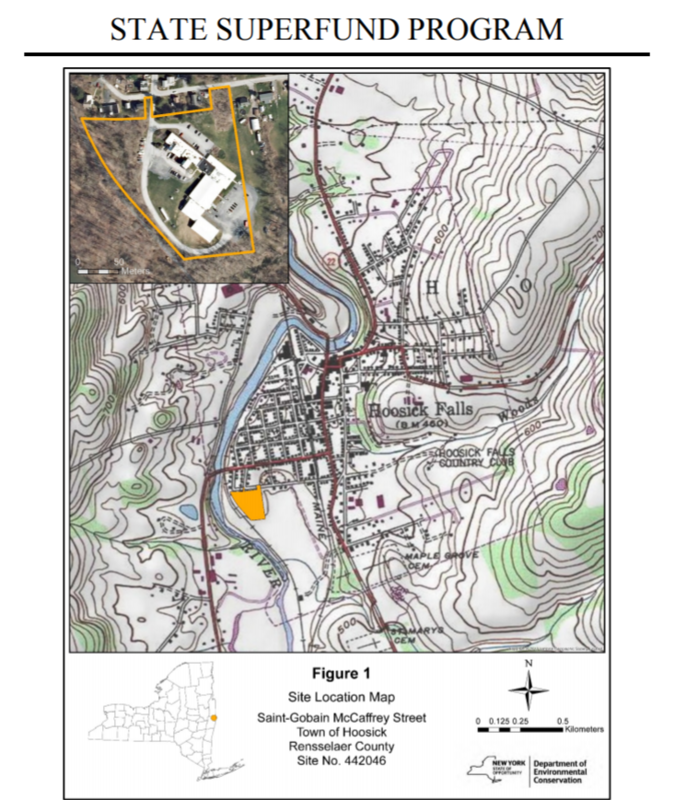 Saint-Gobain Corporation and Honeywell International, Inc., the two companies being held liable for the contamination, are responsible for the environmental cleanup work at the project site located at 14 McCaffrey Street in Hoosick Falls. The environmental cleanup action will be performed as an Interim Remedial Measure (IRM) under New York’s State Superfund Program and the provisions of an Order on Consent established between the responsible parties and the NYSDEC. “An IRM is a cleanup activity that may be taken to prevent, mitigate or remedy contamination attributed to a site prior to the full characterization of the nature and extent of contamination. The objective of this IRM is to prevent continued migration of onsite perfluorooctanoic acid (PFOA) from the McCaffrey Street project site toward the Village of Hoosick Falls’ municipal water supply wellfield,” the DEC said in a press release. The IRM plans include the installation of Granular Activated Carbon filtration vessels that will treat extracted groundwater and remove PFOA contamination. The cleanup process, which will be overseen by the NYSDEC and State Health Department, is said to begin as early as May. Site preparation work is estimated to begin in June and the final installation and testing of the remediation effort should take place this summer. More details of the Interim Remedial Measure plans can be found here.